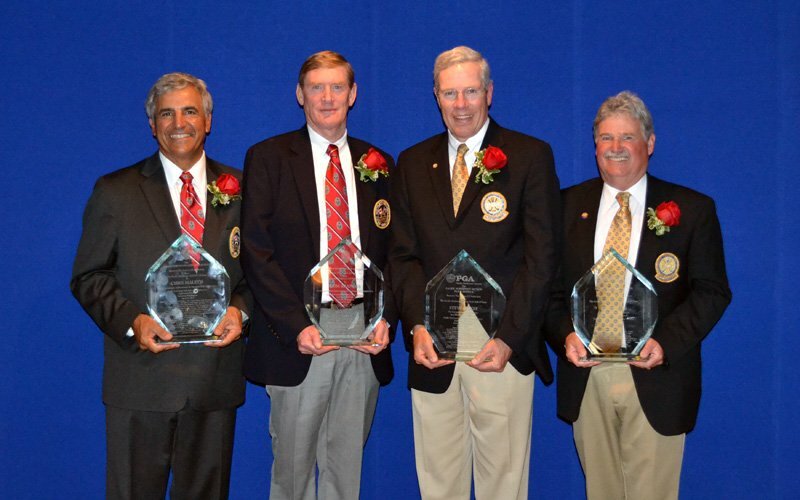 For the third time in Northwest golf history, the Pacific Northwest Golf Association (PNGA) and the Pacific Northwest Section PGA (PNWPGA) conducted a joint Hall of Fame ceremony to honor inductees from each organization. It was a fine evening at Inglewood Golf Club in Kenmore, WA. Bill Yeend, formerly of KOMO Radio 1000 and arguably the Northwest’s most recognized radio voice, interviewed the inductees on stage, revealing their accomplishments and history in golf. Thank you to the PNGA for helping to produce this historic event, to Inglewood Golf Club for hosting the evening, and to Bill Yeend for helping to tell the stories of the five inductees: Tom Brandes, Pat Huffer, PGA, Chris Maletic, Steve Prugh, PGA and (presented posthumously) Hilda McAuslan Beck.